Coun Angela Taylor and residents are protesting over the closure of Spring Mill Golf Course. A couple have stepped in to save a community golf course from “rack and ruin” after it was axed by Wakefield Council. Lynda and Andrew Price have agreed to take over Spring Mill in Ossett, following the cash-strapped authority’s decision to shut it in April. The closure was heavily criticised by the local community, who launched a campaign to keep it open. And Mr and Mrs Price, who run a skip hire business in Dewsbury, have now given the course a lifeline - and will re-open it to the public for the first time tomorrow. The couple have worked with local councillors and volunteers to revamp the clubhouse and turn it into a tea room. They hope the business will generate income to support the nine-hole golf course, which is also popular with dog walkers and fitness groups. And they have ambitious plans to improve the course, create a driving range and children’s playground and install a kitchen to serve hot food. Mrs Price said: “Even though it is near the motorway, Spring Mill is very quiet and peaceful. It is a beautiful spot. She thanked all the volunteers who helped with the transformation, adding: “Without them and their hard work, we would not have not got to where we are. Several public meetings were held in the town in the weeks that followed the council’s decision to close the course, and two others in Thornes and Pontefract Parks. 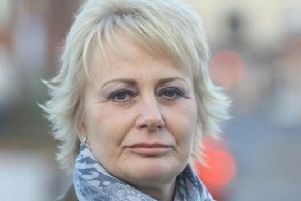 Ossett ward councillor Lynn Masterman said: “We wanted to see what could be done and whether it could be taken over. The course will be open from 10am on Saturday.